It's time for another Play! 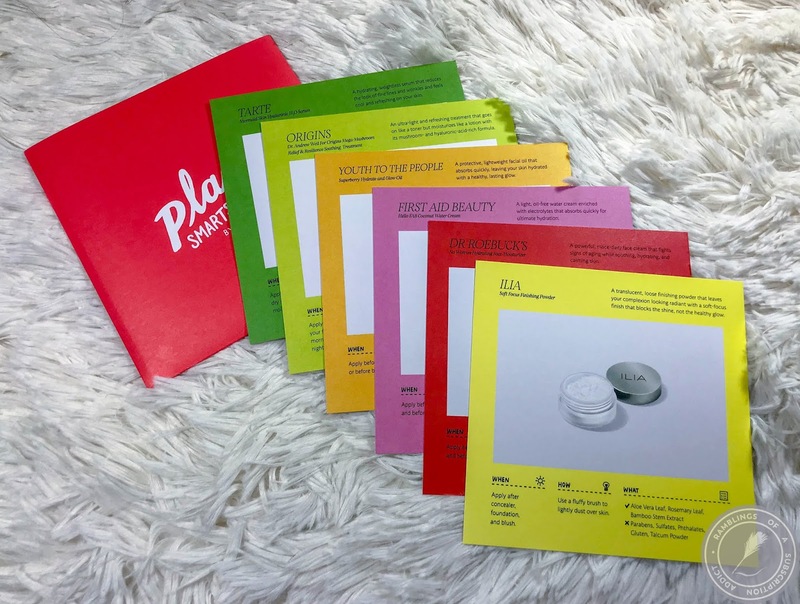 Smarts/Play! Luxe bag. It's confusing, they're the same thing. In case you don't know, Play! Smarts/Play! 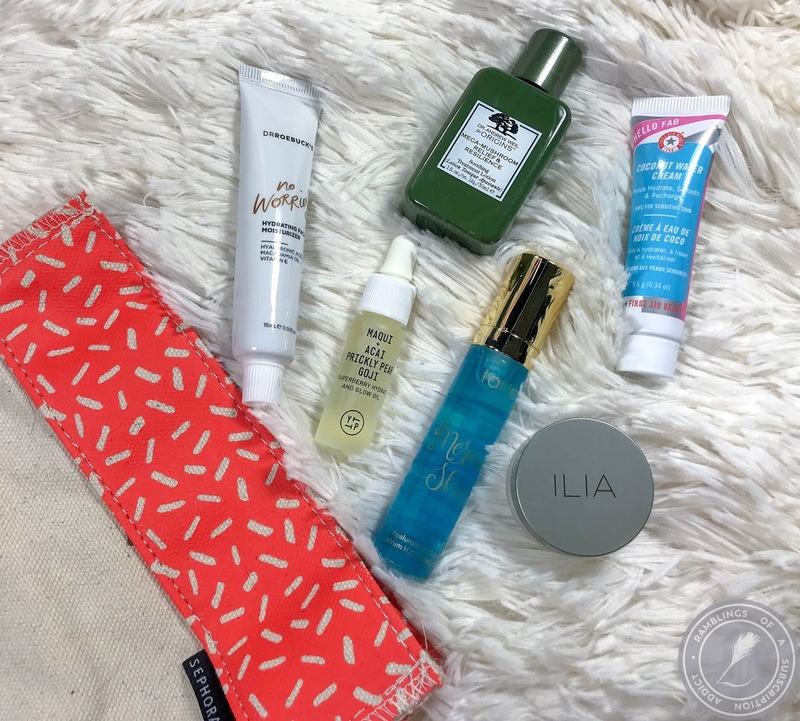 Luxe bags are one-offs that Sephora randomly releases. Sometimes you'll get an app notification but usually, I found these by just going to the website/app and searching. I wish they set up a special landing page like Target does for these so I wouldn't have to try so hard to get a bag! You do get to see what's coming in the box before you buy (it may be completely specific or say there will be X brand in it). 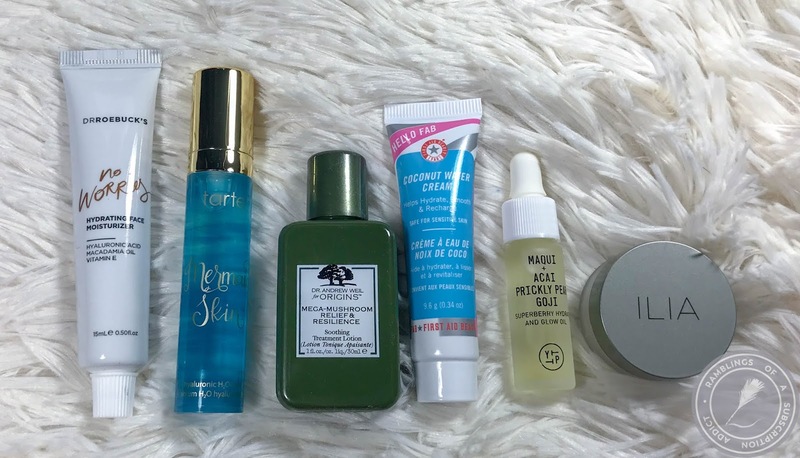 Look at all of these green products! This bag was..interesting. It has a magnetic closure that actually works pretty well. Dr. Roebuck's No Worries Hydrating Face Moisturizer ($13.50) - Good moisturizer, but I don't know about 'no worries.' I have plenty of skin problems, but moisture isn't one? Is that what they were getting at? Regardless, this is a good moisturizer but it's definitely not my favorite or probably even in my top five. It's been used, just not on my drier months. 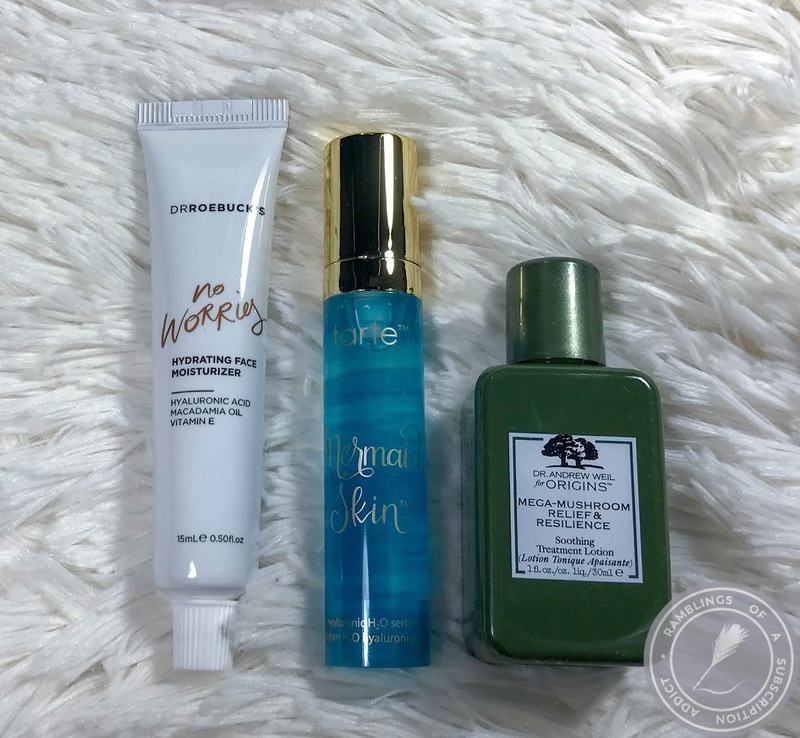 tarte Mermaid Skin Hyaluronic H2O Serum ($8.40) - Only recently have I figured out that serums are used differently than moisturizers...I know, I'm a skincare failure. I have started doing a full skincare routine so this is in the pipeline to be used (correctly). Origins Mega-Mushroom Relief & Resilience Soothing Treatment ($5.07) - I'm not entirely sure what this is to be used for. It's a soothing lotion for inflammation, but I don't know how it's actually supposed to work. Youth to the People Superberry Hydrate and Glow Oil ($5.43) - While I'm not one to put a ton of oils on my face, this definitely helps if you're looking for a dewy finish or just something to add moisture to your face. ILIA Soft Focus Finishing Powder ($5.31) - I was shocked but this became one of my favorite setting powders for my undereye. It sets without making it look too dry or creasy. It didn't crease-proof my undereye, but it helped. 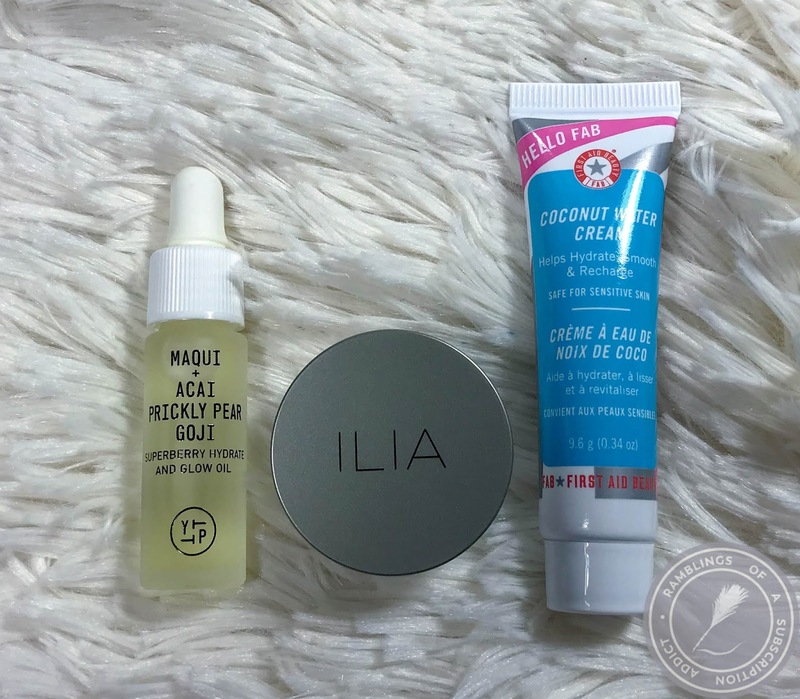 First Aid Beauty Hello FAB Coconut Water Cream ($6.80) - This is just a solid moisturizer. I love the FAB moisturizers as they always do a good job without leaving my face or body greasy or gross feeling. This bag was valued at $44.51, about double the cost of the bag. 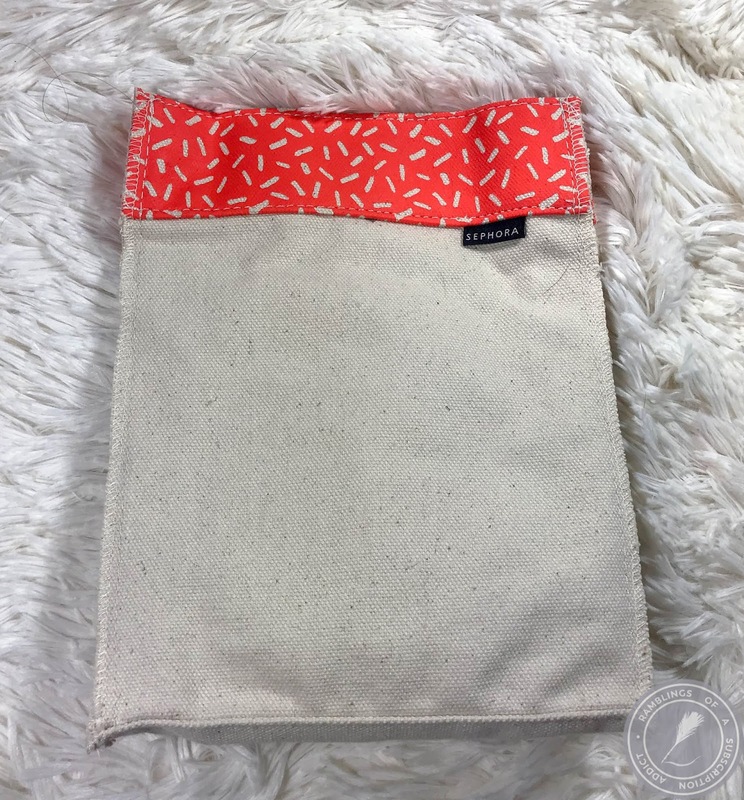 I liked the items included and found a new favorite product as well. Because I knew what I was getting, I have no complaints!